In today’s high-pressure world, tradition is too often replaced by more modern means of dealing with the demands of life. For example, while once heavily community, church and family-based, today the task of caring for our parents and grandparents routinely falls to organizations such as nursing homes or aged-care centers. There we trust that professionally trained staff will take care of our elders as we would. However, the reality of nursing home life today is often far from the stylized and advertized images of communicative, interactive and interested elderly residents living in an idyllic environment. By contrast, more often than not, elderly in nursing homes are often quiet, appear somewhat vacant, a sort of lifelessness about them, perhaps blankly staring or deeply introspective and withdrawn. If not by drugs, these conditions can also be brought on by the use of electroshock treatment (ECT) or simply the threat of painful and demeaning restraints. 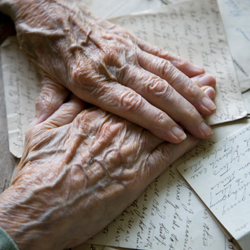 This is the legacy of the widespread introduction of psychiatric treatment into the care of the elderly over the last few decades, and the consequences have been disastrous. According to the Office of the Inspector General, 304,983 elderly nursing home residents in the U.S. were given dangerous and often deadly antipsychotic drugs, of which 88% were prescribed off-label for dementia. Not only are antipsychotics dangerous and potentially lethal when prescribed to anyone, but the FDA has specifically issued its strongest “black box” warning on the use of antipsychotics in the elderly with dementia for its increased risk of death. In all, there have been 44 warnings issued by regulatory agencies in eight countries (U.S., Canada, Australia, New Zealand, UK, Ireland, Denmark and South Africa) about the use of antipsychotics causing heart problems, weight gain, diabetes, mania, and death or increased risk of death. Of these, 11 specifically warn about the use of antipsychotic drugs in the elderly with dementia or dementia-related psychosis because of their increased risk of stroke and/or death. 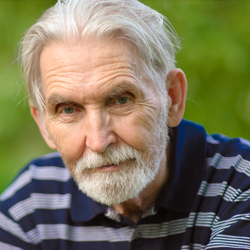 Antipsychotic drugs can double the risk of death and triple the risk of stroke for seniors. Antipsychotics have also been found to double the risk of pneumonia in the elderly. Other side effects include cardiovascular death, cognitive slowing, sedation, risk of falls, uncontrollable movement of the face and extremities, and other Parkinson-like events such as tremor, slowed motion, rigid muscles, and impaired posture. “The way antipsychotic drugs are used in nursing homes is a form of elder abuse…. Instead of providing individualized care, many homes indiscriminately use these drugs to sedate and subdue residents,” stated Patricia McGinnis, Director of California Advocates for Nursing Home Reform. There are about 47.5% (997,500) on antidepressants. Side effects of antidepressants in the elderly include increase in falls, increased risk of fractures, reduced bone mineral density (leads to weaker bones, easier to break), and Serotonin Syndrome, which is a potentially life threatening condition that occurs when the body has too much serotonin; symptoms may include: Restlessness, hallucinations, loss of coordination, fast heart beat, rapid change in blood pressure, increased body temperature, overactive reflexes, nausea, and vomiting. A study on death rates of depressed patients at least 85 years of age (many of which are already taking a plethora of drugs/medications), found that mortality rates were greater for those who received ECT, compared to those who did not. Within 1 year, 27% of those who received ECT treatment had died versus 4% of those who didn’t receive ECT. Electroshock is barbaric treatment when administered to anyone, however in the elderly, their often fragile bodies suffer specific effects including heart arrhythmias, delirium, lesions in inner areas of the brain, confusion, brain shrinkage, cognitive impairment, increased rates of falling and amnesia. In May 2011, the OIG published a report on Medicare drug claims for atypical antipsychotics for elderly nursing home residents. The report found that 95% (nearly 1.4 million) of Medicare claims for newer antipsychotics during the first six months of 2007, were either for off-label conditions and/or used in patients diagnosed with dementia. The OIG auditors found that 51%, or 726,000 of the 1.4 million Medicare drug claims were paid for by the government improperly, costing an estimated that $116 million in Medicare dollars. On January 15, 2010, the Department of Justice (DOJ) filed a civil False Claims Act complaint against drug company giant, Johnson & Johnson (J&J), saying that the company paid millions to Omnicare, Inc. (the nation’s largest pharmacy that specializes in dispensing drugs to nursing home patients), as kickbacks for selling the antipsychotic Risperdal to nursing home patients. In November 2009, Omnicare paid $98 million to settle charges brought against it by the government for allegedly taking kickbacks from J&J to recommend the drug maker’s products, including the antipsychotic Risperdal. According to the DOJ complaint, J&J paid $50 million to Omnicare between 1999 and 2004 to get it to prescribe Risperdal to elderly patients with dementia, and then hid those kickbacks as payments for services that Omnicare never actually provided. 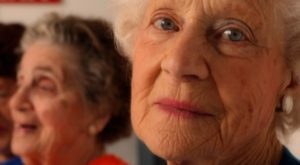 Common sense and decency dictate that the last thing a fragile, anxious or vulnerable elderly person needs is the additional physical and mental stress associated with heavy, addictive psychiatric drugs. The very least our senior citizens deserve is to be able to enjoy their Golden Years, safe in the knowledge that they won’t be taken from their homes, incarcerated and drugged until they are mindless or be given electroshock treatment. To render them inactive and mindless through powerful mind-altering drugs with life-threatening side effects is an unforgivable assault. Instead of treating behavioral problems with antipsychotic drugs, Ecumen, a chain of 15 nursing homes, uses strategies including aromatherapy, massage, music, games, exercise, good conversation, personal attention, better pain control and other techniques. The project was started by Eva Lanigan, a nurse and resident care coordinator at Ecumen’s Sunrise Home in Two Harbors, Minnesota. The entire staff was trained and encouraged to interact with residents with dementia. Within six months, they eliminated antipsychotic drugs and cut the use of antidepressants by half. The result, Lanigan said: “The chaos level is down, but the noise is up — the noise of people laughing, talking, much more engaged with life. It’s amazing.” After seeing the results, the Ecumen company started a project called “Awakenings” and implemented it throughout its 15 long-term care nursing homes. The project is based on Lanigan’s work and is funded by a two-year, $3.7 million state grant. A similar program to Ecumen’s is being carried out under the direction of psychiatrist Dr. Miguel Rivera, where caregivers at the Pines of Sarasota nursing home in Florida have set up using simple spa comforts such as music, massage and calming colors to help reduce agitation. As a result, dosages of antipsychotic medications have dropped to less than half the state average for this patient population. 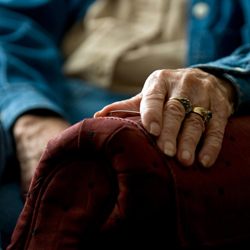 Medicare payments for services to dementia patients are expected to total $172 billion in 2010. So low-cost interventions such as Rivera’s could save tax dollars. Laura Gitlin, PhD, Director of the Jefferson Center for Applied Research on Aging and Health in Philadelphia, said non-pharmacological approaches can help, such as personal counseling, education, skill training of family members, and simple and engaging activities. Gitlin described an occupational program at her university that developed meaningful activities for dementia patients based on their capabilities. The program cost $941.63 per family per year, compared with $1,825 for drug treatment programs. The program also saved caregivers about five hours a day in time they would have otherwise spent in hands-on care. 1. Support CCHR’s public education campaigns by becoming a member or making a tax-deductible donation. 2. Write to your congressman, as well as the US Senate Special Committee on Aging, and demand that non-psychiatric, medical solutions and humane treatment programs are funded, such as the ones listed above. 3. For the elderly in nursing homes, do your own research by using the Psychiatric Drugs Dangers Database.